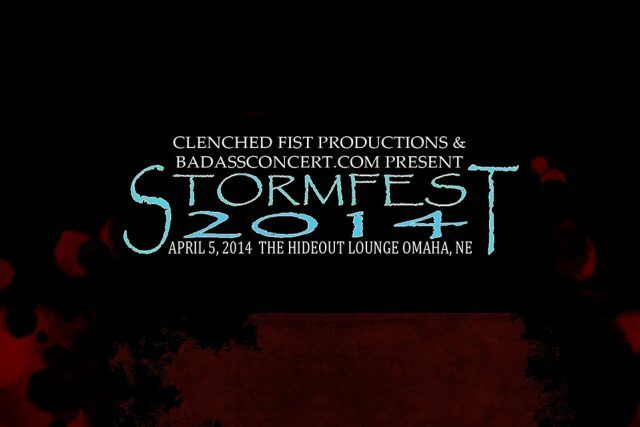 StormFest 2014 • The Hideout • Omaha, NE • April 5th | Badass Concert | Heavy Metal Music News | So METAL, we piss RUST! That’s right, it’s metal at it’s finest and it’s coming for you Omaha. Get ready, April 5th, 2014 at The Hideout in Omaha, NE. The exciting lineup is currently building. We have DeadEchoes, Slantpiece, TenDead, Orville, Primal Waters, The Blood Of War, Dollarhyde, Porkbelly and more. We will let you know as the updates roll in.